नई दिल्‍ली: भारत और पाकिस्‍तान के बीच चल रहे तनाव के बीच सीमा पर पाक की ओर से तनाव बढ़ाने की कोशिशें जारी हैं. हालांकि भारतीय सेना उसका जवाब उसी ढंग से दे रही है. अब रिपोर्ट सामने आई है कि पाकिस्‍तान की ओर से सोमवार को सीमा के पास बड़ी संख्‍या में ड्रोन और 4 एफ 16 लड़ाकू विमान भेजे गए. लेकिन इन्‍हें भारत के राडार ने पकड़ लिया. इसके बाद भारतीय लड़ाकू विमानों ने इन्‍हें पाकिस्‍तान की ओर खदेड़ दिया. भारतीय वायुसेना ने सोमवार को पंजाब के खेमकरण सेक्टर में भारत-पाकिस्तान सीमा के समीप एक पाकिस्तानी ड्रोन नजर आने के बाद वहां सुखोई -30 लड़ाकू जेट विमानों को लगा दिया. 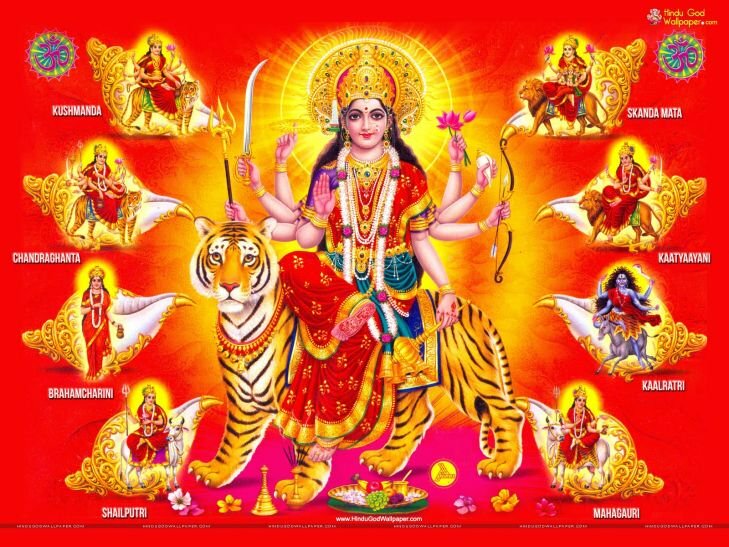 इस घटना के बाद सीमा के समीप दो पाकिस्तानी एफ-16 लड़ाकू विमान भी देखे गये. सूत्रों ने बताया कि सीमा पर मानवरहित यान के उड़ते हुए नजर आने के शीघ्र बाद सुखोई -30 एमकेआई जेट विमान तैनात कर दिए गए. जेट के हरकत में आने के बाद ड्रोन पाकिस्तानी क्षेत्र में लौट गया. 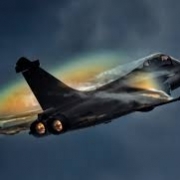 यह घटना दिन में तीन बजकर 10 मिनट पर हुई. बालाकोट हवाई हमले के बाद पिछले चार हफ्ते में विभिन्न क्षेत्रों में पाकिस्तानी ड्रोनों के भारत-पाकिस्तान सीमा के बिल्कुल करीब आ जाने की कई घटनाएं सामने आयी हैं. पिछले महीने एक मानवरहित यान राजस्थान के गंगानगर में घुस आया था जिसे सेना ने मार गिराया. पिछले महीने ही भारत-पाक सीमा के बीकानेर सेक्टर में भारतीय वायुसेना के सुखोई -30 लड़ाकू जेट ने हवा से हवा में मार करने वाली मिसाइल की मदद से पाकिस्तानी सैन्य ड्रोन को नष्ट कर दिया था. 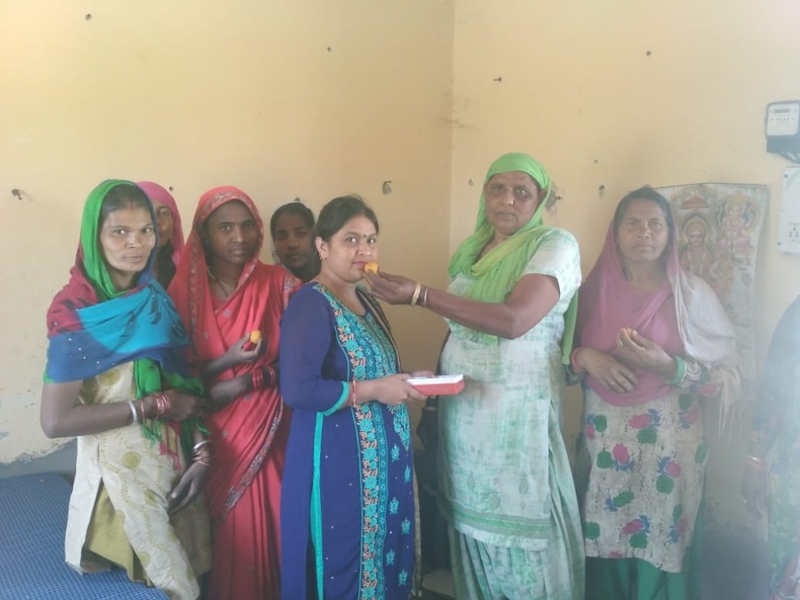 पाकिस्तान के बालाकोट में 26 फरवरी को जैश ए मोहम्मद के प्रशिक्षण शिविर पर भारतीय वायुसेना के जंगी विमानों द्वारा बमबारी करने के बाद दोनों देशों में तनाव बहुत बढ़ गया था. पाकिस्तान ने अगले दिन भारतीय सैन्य प्रतिष्ठानों को निशाना बनाने की कोशिश की थी लेकिन भारतीय वायुसेना ने उसकी योजना नाकाम कर दी थी. बालाकोट हवाई हमले से 12 दिन पहले कश्मीर के पुलवामा में आत्मघाती हमले में सीआरपीएफ के 40 जवान शहीद हुए थे. जैश ए मोहम्मद ने पुलवामा हमले की जिम्मेदारी ली थी. 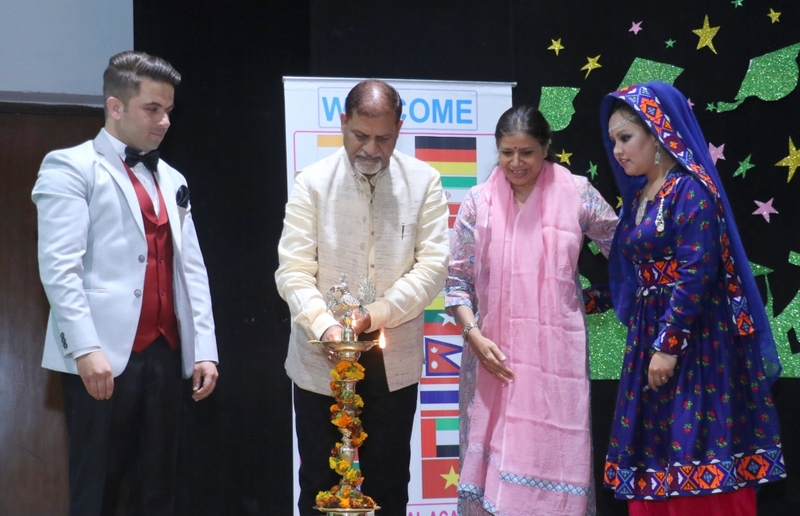 The Office of the Dean International Students, Panjab University, Chandigarh organised Annual Function for all the international Students studying in various Teaching Departments of Panjab University and its Local Affiliated Colleges, here today. Prof. Raj Kumar, Vice Chancellor, PU in his address said that the international students are the ambassadors of PU while sharing that PU is the platform of knowledge sharing, urged the international students to grab the opportunity to explore and use the facilities available at the Campus. He urged the international students for joining in the higher education programmes stressing that PU has a strong research base and being part of the research and innovation will re-open the opportunities for them to expand the horizons of knowledge. He added that not only academics but these international students add colour, flavour and diversity to the Campus. Prof. Nandita Singh, Dean International Students, in her welcome address said that it is a day to celebrate the presence of International students and their achievements in the year gone by. She further informed that currently there are 161 international students studying in various departments of the PU Campus, out of which, 36 are pursuing Ph.D, 28 enrolled in various post graduate courses and 97 in the under graduate programmes. There are 226 international students studying in various colleges of Chandigarh. 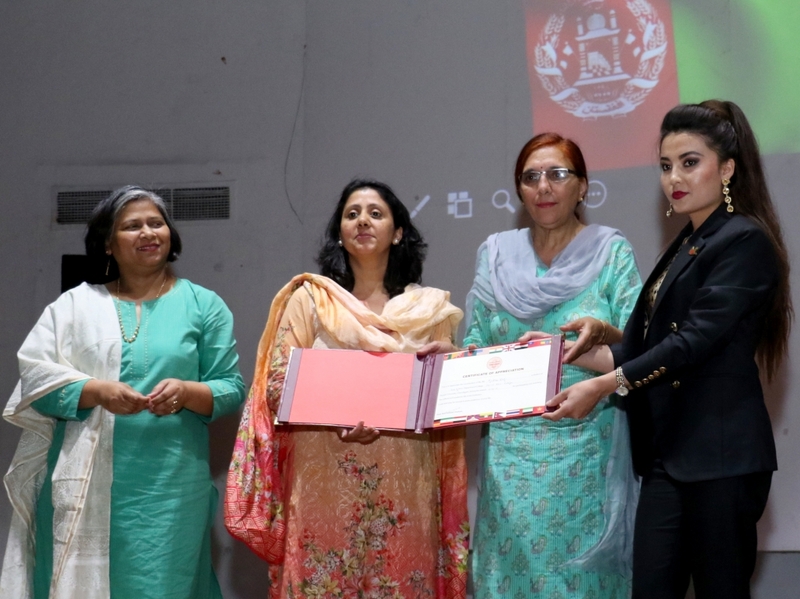 She further added that it is a great honour for PU to have students from as many as 17 countries who bring with them the richness and beauty of their cultural values. She also gave details about various programmes held during the year keeping in mind the need and interest of students. 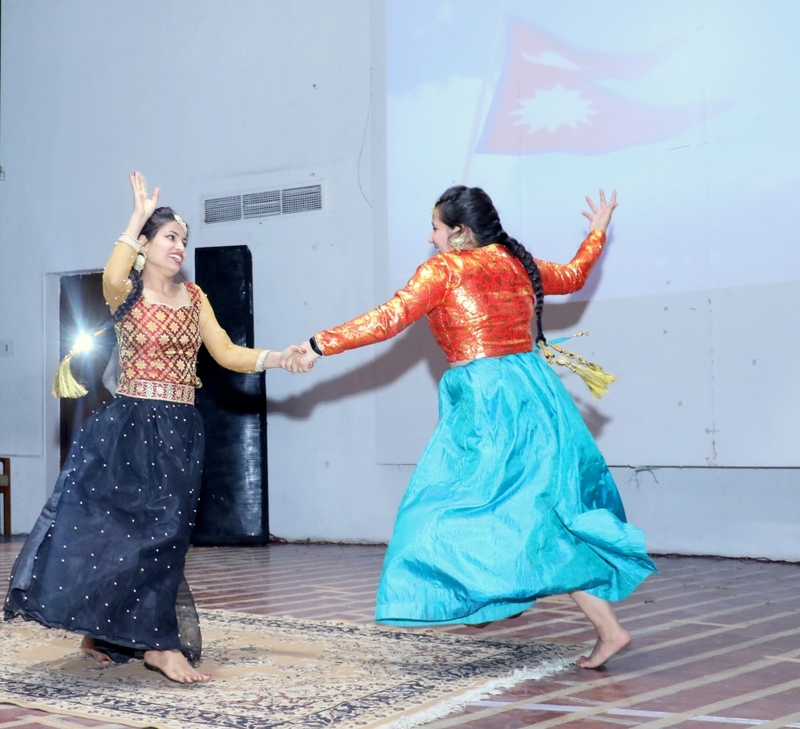 International Students from Afghanistan, Tibet, Nepal, Vietnam, Myanmar, Bangladesh, and Thailand made presentations and performed dance on their cultural songs and music. The lively performances were interspersed by honouring and appreciating final year students for their contribution to the academic and cultural life in India. It was time for students to showcase their own culture and values to other students. 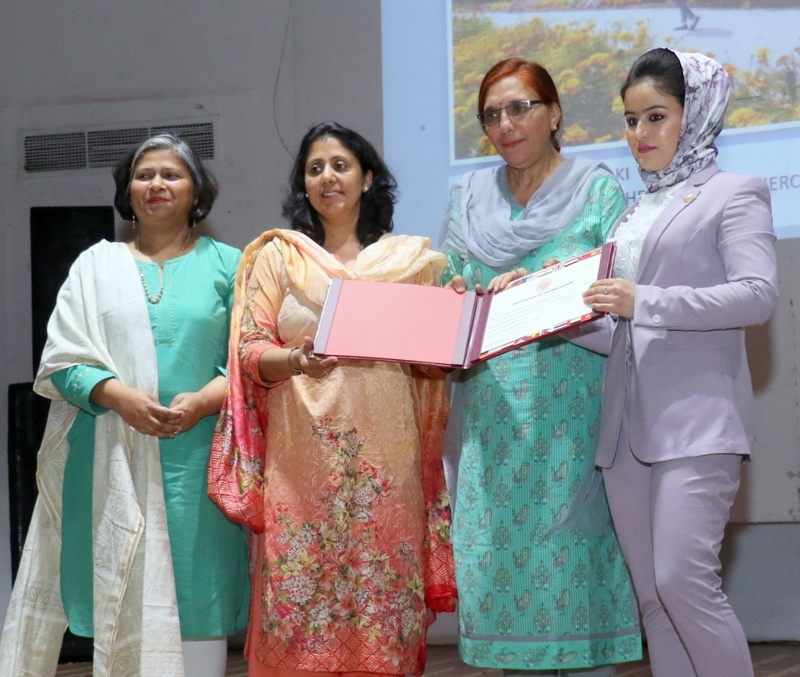 Those present on the occasion included, Prof. Parvinder Singh, Controller of Examinations, Prof. Renuka B. Salwan, Director, Public Relations, Ashwani Koul, Chief Security Officer, Prof. Anil Monga, Centre for Police Administration, Prof. Ramanjit Kaur Johal, Ex-Dean, Dept. of Public Administration, Mrs. Nalini Singhal, Regional Officer ICCR Chd, Mr. Tulsi Ram Thakur, Incharge, FRO, Sec-9, Chd, D.K Gupta from Intelligence bureau, Prof. Anu H Gupta, UIFT, Prof. Monika Aggarwal, UIAMS, Prof. Renu Thakur, Chairperson, AIHC & A, Prof. Namita Gupta, Chairperson, Centre for Human Rights and Duties, Prof. Alok Srivastava, Dept. of Chemistry, Gaurav Gaur, Social Works. 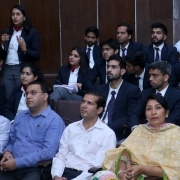 University Business School, Panjab University Chandigarh organised a Workshop on Building Business Communication Skills, here today under the guidance of Prof. Manoj Kumar Sharma, PU Fellow and Workshop Coordinator. Prof. Deepak Kapur, Chairman of the Department, appreciated the efforts of the students for organising this workshop. Communication Skills are of great importance in our lives nowadays. 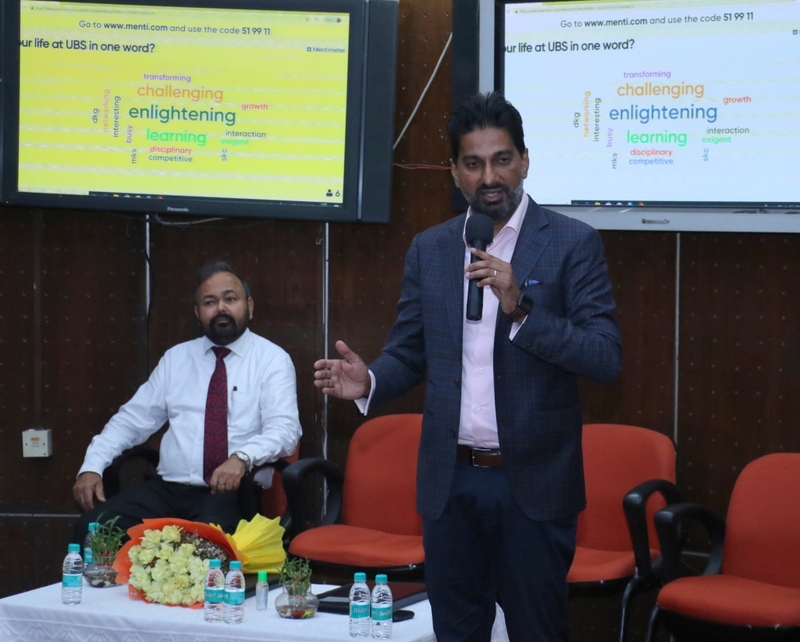 In this workshop, Mr. Kabir Julka, Vice President and Chief Human Resources Officer, American Express, India graced the event and guided the students on the importance of communication skills, how they drive a person in the corporate world and taught various methods on how to improve them. Mr. Priya Ranjan, Head, Corporate Communication (Punjab, Haryana, H.P and J&K) Bharti Airtel Ltd also taught the students the importance of communication skills in building a person’s perspective. 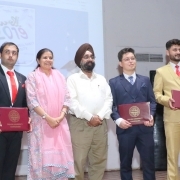 Prof. Gurcharan Singh, Head, School of Management Studies, Punjabi University, Patiala and Mrs. Manvinder Jeji imparted business communication skills with the help of role play and management games. A very unique aspect of this workshop was that around 45 MBA students presented their presentations highlighting various aspects of communication skills. Prof. Manoj Kumar Sharma is conducting this workshop from the last 20 years and said that these workshops are organized and managed by the students, for the students as they provide a great exposure to students about the present corporate world and make them aware about the basic requirements MNCs have. Jitin Garg, Student Coordinator said that it is a great opportunity to learn by organising these types of workshops under the guidance of Prof. Manoj Kumar Sharma and will help him excel in his Professional life. 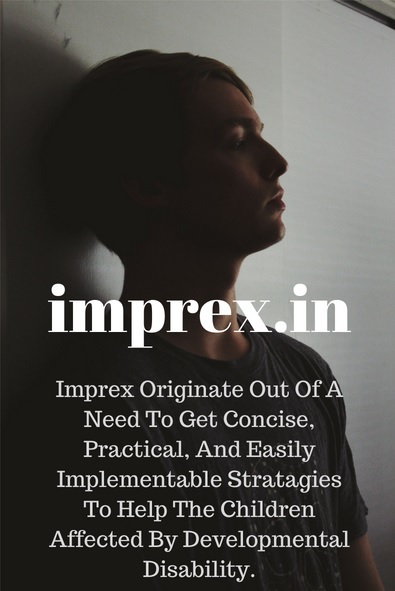 It helped him polish his business communication skills needed in the corporate world. 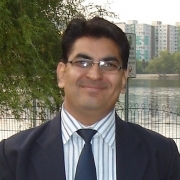 Dr Kewal Krishan, Associate Professor and Chairperson, Department of Anthropology, Panjab University, Chandigarh, has been nominated to the editorial board of Forensic Science International – one of the topmost and highly ranked journals in the field of Forensic Sciences. The journal is published from Netherlands by a world known and prominent publication house ‘Elsevier’. This is one of the oldest Speciality journals of the forensic sciences which was established in the year 1972. Forensic Science International is the flagship journal in the prestigious Forensic Science International family, publishing he most innovative, cutting-edge, and influential contributions across the forensic sciences. For the very first time, an Indian scientist has been nominated to the editorial board of this journal. Dr Krishan has got this opportunity because of his immense contributions to the development of forensic anthropology in India. He has been a regular reviewer/referee of this journal. Dr Krishan has to his credit more than 182 publications most of which are in international journals of repute. He has also contributed chapters to the most coveted and famous encyclopedias. Dr. Krishan’s articles have been cited by more than 3000 studies worldwide. 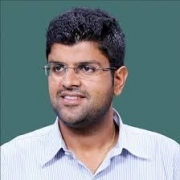 Prof. Aneel Raina, Dept. 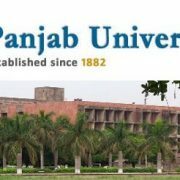 of English & Cultural Studies, Panjab University Chandigarh has been nominated as a member to the Court of CUTN (Central University of Tamil Nadu) from 1 March 2019 to 28 February 2022. Recently, he has been included among NAAC assessors, and member of the Peer Assessment Team to Alipurduar in West Bengal. हरियाणा सरकार ने आईपीएस अधिकारी IG हेमंत कलसन को सस्पेंड कर दिया है. अक्सर विवादों में रहने वाले IG कलसन पर इस बार हवा में फायरिंग करने का आरोप है और वो भी नशे में धुत्त हो कर. 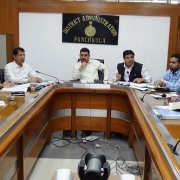 दरअसल कलसन तमिलनाडु के अरियालूर में इलेक्शन ऑब्ज़र्वर नियुक्त किए गए थे. अरियालूर में वो एक सर्किट हाऊस में ठहरे थे. रविवार दोपहर शराब के नशे में उन्होंने वहां तैनात कॉन्सटेबल से बंदूक ली और ये जानने के लिए कि वो चलती भी है या नहीं, हवा में नौ राऊंड फायर कर दिए. इस पर सर्किट हाउस में रह रहे दूसरे लोग दहशत में आ गए. कलसन ने राइफल कॉन्सटेबल को वापस थमा दी और सोने चले गए, मानो कुछ हुआ ही ना हो. 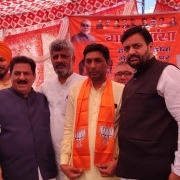 चुनाव अधिकारी के कहने पर बतौर ऑब्सर्वर कलसन को उनकी सेवाओं से तुरंत प्रभाव से मुक्त कर दिया गया और साथ ही उनके खिलाफ FIR दर्ज कर दी गई. हेमंत कलसन हरियाणा पुलिस में IG होम गार्ड तैनात थे. गौरतलब है कि पिछले साल सितंबर में डीआईजी कलसन की एक विडियो वायरल हुई थी, जिसमें वो कुछ लोगों से पिटते दिखे थे. इस दौरान भी वो नशे में धुत बताए गए थे. विडियो के बाद उनकी काफी फज़ीहत हुई थी. हालांकि कलसन ने तब हमले के लिए कुछ युवकों को ज़िम्मेदार ठहराया था, लेकिन मामले में कोई FIR दर्ज नहीं की गई थी.